There’s nothing more terrifying than losing data stored in your iPhone or iPad, unless the iOS devices are backed up or synced. However, there’s a big difference between backing up and syncing our devices. This article aims to point out this difference. A sync, or synchronization, is done to make sure the contents of your iPhone, iPod, or iPad and computer are the same and updated. Syncing occurs frequently, and it allows users to access calendars, contacts, photos, documents and more in all their iOS devices, computers and on the Web. Syncing is also done when transferring files or content from one device to another. For instance, a user with a new iPhone doesn’t need to worry about missing content from his old device as long as it synced. Depending on the method used, syncing can be done via USB or Wi-Fi connection. Users can easily sync apps, music files, pictures, and bookmarks in their iOS device with the help of either iTunes or the iCloud. iTunes is a program that stores songs, albums, playlists, TV shows, movies, podcasts and audio books on a computer. Videos and photos can be synced using official photo apps, or directly synced from the folder. 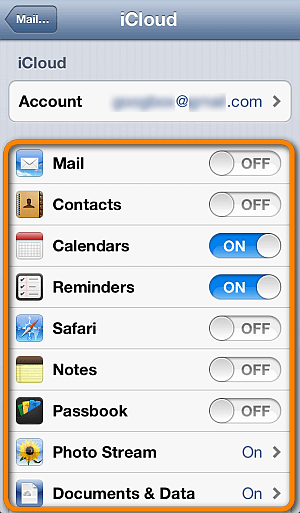 Contacts, calendars, and messages can be synced using a computer. If you have purchased music or movies using iTunes, then those files are saved in your computer and can be synced to your iPad or iPhone. The sync can be done via USB or Wi-Fi. Prior to performing the sync, Apple recommends having the latest version of iTunes installed. The iCloud is a more seamless way of syncing via the Web using Apple’s servers. Updates on any of the contents synced to the iCloud are automatically pushed to the user’s other devices connected to the iCloud account. A backup is a one-way process where device content is moved to another location. It is done to make sure users can still access the contents of their device in the event that it gets lost or stolen. Backing up device data on a regular basis will also prove useful should the device become inoperable because of hardware or software failures. 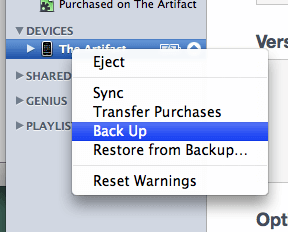 There are many ways to back up your iOS device. One of the more popular back up methods is by downloading iTunes to a desktop or laptop computer. The iOS device will need to connected to the computer to initiate the backup process. iTunes will allow users to back up the device settings, contacts, messages, camera roll photos, music, podcasts and videos with just a few mouse clicks. A user with a new device just needs to connect it to the computer to restore the backed up data. Another popular back up option is the iCloud. This is where the contents of your iOS device (e.g. music, movies purchased from Apple, contacts, messages, device settings etc.) will be automatically saved to Apple’s free 5 GB iCloud storage. Any contents previously saved in the iCloud account will not be backed up, including apps, non-iTunes media or music. If you’re using a jailbroken iPhone and you prefer to save its custom features, a third party back up app from companies like Cydia is required. Neither iTunes or the iCloud will back up any third party apps and jailbreak settings. So what’s the difference between a sync and backup? Syncing on iOS devices (or any Android devices) is done to ensure these devices have the same updated content. This means an iOS user can have the same contacts or emails stored across all synced iOS devices. It is also a method of transferring content between devices. Backing up a device, on the other hand, is a method of saving most of a device’s content to another location. iTunes will not be able to back up synced content such as movies, music, or podcasts that are not on the device.